Home Blog Cleaning Tips Proper exterior house washing and maintenance can help homeowners avoid HOA fines. It is important to know and understand the community rules when purchasing a home in an HOA regulated community. One common rule is maintaining the exterior appearance of your property. This can include types of fencing allowed, color regulations, how high grass can grow, and standards for keeping the exterior of your home clean. Over time dirt, mold and mildew build up on siding and other exterior home surfaces. Once they become noticeable and unsightly it may become an issue. Usually, a yearly or bi-yearly (maybe more frequent) community inspection is performed and homeowners are notified in writing if they are violating any community rules. A warning letter usually gives the homeowner a certain amount of time to correct the issue before fines are issued. The best way to avoid getting into this situation is to have your home set up with scheduled house washing services. If your community requires power washing check with the HOA or property manager to see if they have any approved or recommended contractors. This simplifies the process and hopefully ensures the contractor offers a quality service at a reasonable rate. Check with your neighbors and see if they would like to set up service with you, and ask the contractor if they offer any discounts for scheduling multiple houses. Once you receive an HOA warning letter it may be too late to schedule in time to avoid a fine. Most professional power washing companies are scheduled a few weeks out and in addition, would need some time to estimate and get pricing to the homeowner, or there could be an additional fee for “emergency” service. Being prepared saves time and money. 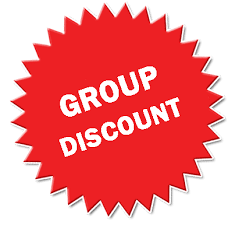 We offer Group Discounted Rates if you and your neighbors or HOA want to bundle and get on the Schedule the same day! We can offer a lower rate if multiple homeowners in one area schedule, we can get more done in less time. This means savings for you. Generally, we can get 5 to 6 homeowners done in a day and this would constitute a “group.” If you are interested in being quoted at our “group” rates, let us know. On your typical 2,500 sq ft home, “group” rates can be 15% off our standard rates.